Black golf divot tool. Imprinted "Rose-Hulman" over "Institute of Technology" in silver. Red golf divot tool. 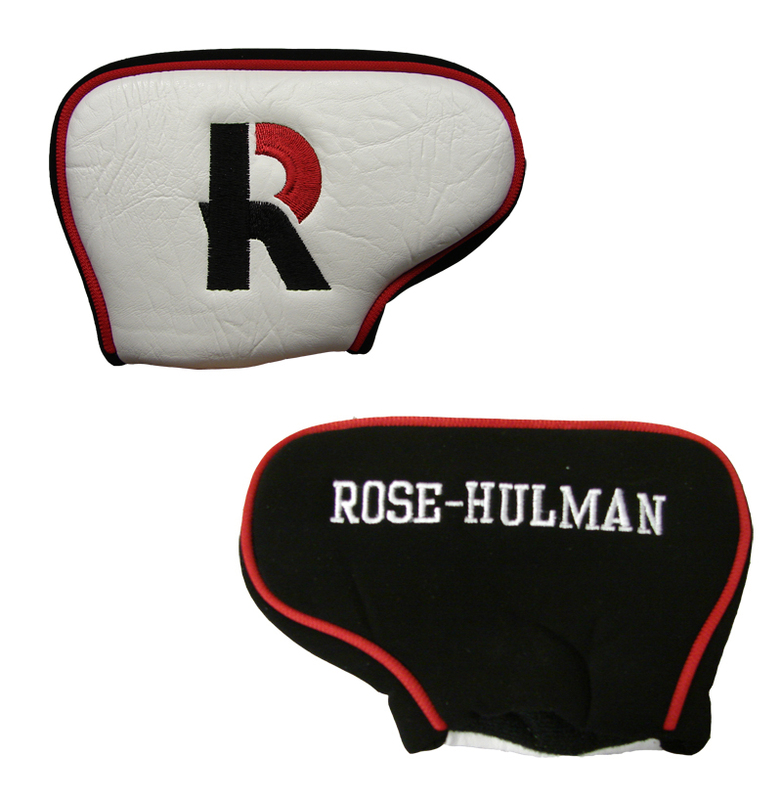 Imprinted "Rose-Hulman" over "Institute of Technology"
Golf Blade Putter Cover. Fits all blade putters. Single Headcover. Fits all oversized drivers. Red knitted embroidered "R" in red, white, & black. Embroidered "Rose-Hulman" in white. White and red pom pom on top.